December is here marking the seasonal change, its wintertime (in the northern hemisphere). It’s cold. The ski resorts are opening and the mountains are transforming coated in their winter blanket. The holidays are coming. Festive times of Yule bringing people together and another annual cycle comes to a close. 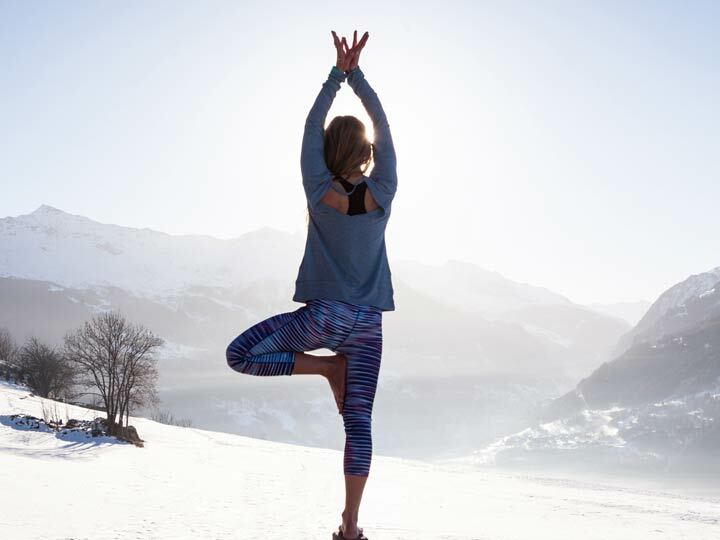 To stay balanced and energised this Winter it’s simple – Take time to mirror the qualities of the Natural world whenever you can at this time of year. Snow covers the high ground like a winter blanket and the natural world is on recharge. Plant life has let go above ground and retreated to sustain itself at roots level. With winter comes the cold. Lakes and streams and waterfalls freeze, rains turns to snow. The the sun stays low in the sky and Natures buzz subsides. Nature cues us to match her vibe with still time – Retreat – Rest – Take Cover – Choose the paths of least resistance – Ditch the controls and go with the flow – Rest – Go back to our roots. Of the 5 elements, Water is the element that best represents the energy of Winter. Mirror the qualities of water to stay balanced this winter. Be less controlling and flow more with ease – hope and trust that you’ll always finding a level no matter what obstacles get in the way. During this season it’s vital that we listen to our bodies, rest up, nurture ourselves and recharge our energy stores readying ourselves for the next cycle of seasons. Since this may contradict with your December work and social calendar, take some time around the winter solstice to pause and tune inwards for some mindful reflection. 1. Tis the season of generosity, kindness and compassion. Start by being kind and compassionate to yourself. Be to yourself how you are to your best friend. Talk yourself up instead of down. Hone in on your good qualities and features and disregard the rest. In turn you’ll be better able to be kind and compassionate to others. Perhaps try to be extra kind to unkind people as they are the ones who may need it the most…. 2. A morning spritzer of water and grapefruit juice – boost vitamin C antioxidants and combat the excesses of the festive season. A little more lux than lemon water and packed with flavour. Go for pink grapefruit to be tickled pink! 3. Boost your circulation in the morning or whenever your body feels chilled with heat building SUN SALUTATIONS or the 5 TIBETANS (my daily wake-up) and wrap up warm particularly around the neck and kidneys where we can lose vital body heat. 4. The biting wind and cold and indoor central heating plays havoc on the skin and the festive indulgences with our digestion and elimination. Reduce inflammation with nourishing wholefoods and antioxidant rich green /herbal teas. In particular think of Tumeric as gold in winter time. Tumeric is a root herb and spice with well documented bio-active, anti-inflammatory and medicinal properties. Check out WELLNESS MAMAs practical ways to add tumeric to your diet. Swap coffee and hot chocolate for warm golden milk! Pure gold.